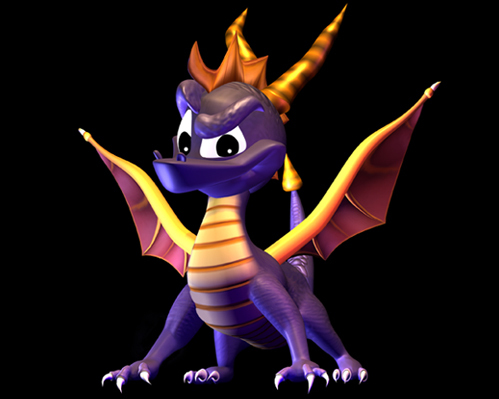 darkSpyro - Spyro and Skylanders Forum - Skylanders: Lost Islands - New alt! darkSpyro - Spyro and Skylanders Forum > Skylanders Mobile > Skylanders: Lost Islands > New alt! It's the only new item, but at least it's something. No new info sheep stuff, buildings, quests, etc. I got Rufus which was a nice bonus in the well. You sure it's not just an older one you missed? I got an Aquarium in the well. I got a windmill. No new alt for me. None here...only an aquarium for me in the well. Yes, as pointed out, it must have been an older one I hadn't heard of before. (It was Sundae Slobber Tooth, who doesn't have a house to call his own - I've bought all the alt houses and am just waiting to fill the last three). Guess the vacation theory put forward for the developers is starting to look a bit dodgy, eh? Or else it's starting to become a looong vacation. Naughty Wozzy you got me all excited over nuttin . I found a Swop House in the young Willy,s Well . Not too shabby in my opinion . They will be back for Super Chargers and everyone thinks SSC will be here in September . ^Well, that's not looking likely until we see a sticker or two from the Superchargers themselves. I mean, we saw a vehicle's sticker (E3 Hot Streak), and it didn't have a code, but had the name Skylanders Battlecast on the back with no mention of the Collection Vault or Lost Islands. Its not like we got any Trap codes either and that worked out fine . So who needs vehicle codes ? They will be back since VV made both LI and SSC . I got Bouncer's house in the well this morning. I guess that is okay. Just levelling up the remaining TT characters and getting the house that is on sale that day now. Hoping for something new to do soon as my current tasks will not last forever. On another note: is there any sense in continuing to gather kudos? I already have at least one of all the things you can buy with them. Any sense in continuing to gather kudos you ask? hehehe. There was never any sense in gathering them in the first place. Admiral Thumpback could have been made available for gems or through the well. And don't get me started on a companion that boosts kudos collection on other people's islands - when visiting your friends' islands is all but impossible. I hate myself for sounding so negative, but the visiting feature is bad beyond belief. So bad, the developers simply gave up trying to make it work properly. I got the alt to the Cobra (I would misspell if I tried his name). I guess I missed more alts than I had realized. I still believe they are developing Super Chargers as they have left LI neglected for months before and then came back. I am checking my game occasionally but not playing hard. Overall I'm sad about how Skylanders has been handled as far as neglecting LI, so many real life characters the stores don't have shelf space for new characters. I really enjoy Skylanders LI and SSA-SF. On another note: is there any sense in continuing to gather kudos? I suppose that depends on your level . The Sheep tops are very useful at low levels. I got Sundae Slobber Tooth to leave me with 4 alter egos to go, and those have houses waiting for them still. So, will likely get down to 2 missing before they do a major update again but can hope for one sooner. Yes, you are right Dark. And the Vacation Bungalows are also a nice boost at low levels. But you've got to put up with a lot of app crashing if you're going to attempt to harvest kudos in any decent numbers. I have Flynn in my well and I'm FREAKING out!!!!! Oooh nice . I hope i get a Fiznik in my well . Got a castle in mine even though there's still one Alter Ego that I need. Also got the castle after only 24 stones. And that was without using Gulper. A bed n breakfast in my well. I think I have 5 of them in my storage from wish stone wins a while back. Meh. I wish I got a BnB. I have dozens, but still. I got a measly Tavern. BnBs are much better than Taverns. I've started selling Taverns as they come up in the well so often. I got the missed Cobra alt after 200+ wish stones on the first but when I opened my game on the 4th he was in my well again as if that had never happened. I won him then in 4 stones. Quirky little game. BnBs are much better than Taverns. Depends how often you visit your island . I am not bored of my taverns or Fish shops yet but i am slowly starting to kill off my decorations . You still use decorations? I almost only use the sheep because of their energy..